A deemster (Manx : briw) is a judge in the Isle of Man. The High Court of Justice of the Isle of Man is presided over by a deemster or, in the case of the appeal division of that court, a deemster and the Judge of Appeal. The deemsters also promulgate the Laws on Tynwald Day by reading out brief summaries of them in English and Manx. Manx, also known as Manx Gaelic, and also historically spelled Manks, is a Goidelic Celtic language of the Indo-European language family, that was spoken as a first language by the Manx people on the Isle of Man until the death of the last native speaker, Ned Maddrell, in 1974. Despite this, the language has never fallen completely out of use, with a minority having some knowledge of it; in addition, Manx still has a role as an important part of the island's culture and heritage. 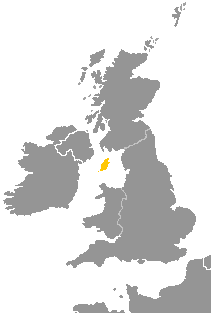 Manx has been the subject of language revival efforts with estimates, in 2015, of around 1,800 people with varying levels of second language conversational ability. Since the late 20th century, Manx has become more visible on the island, with increased signage, radio broadcasts and a bilingual primary school. The revival of Manx has been made easier because the language was well-recorded; for example, the Bible had been translated into Manx, and audio recordings had been made of native speakers. A judge is a person who presides over court proceedings, either alone or as a part of a panel of judges. The powers, functions, method of appointment, discipline, and training of judges vary widely across different jurisdictions. The judge is supposed to conduct the trial impartially and, typically, in an open court. The judge hears all the witnesses and any other evidence presented by the barristers of the case, assesses the credibility and arguments of the parties, and then issues a ruling on the matter at hand based on his or her interpretation of the law and his or her own personal judgment. In some jurisdictions, the judge's powers may be shared with a jury. In inquisitorial systems of criminal investigation, a judge might also be an examining magistrate. The Legislative Council is the upper chamber of Tynwald, the legislature of the Isle of Man. The abbreviation "LegCo" is often used. There are currently (2017) three full-time Deemsters. These are the First Deemster and Clerk of the Rolls (who is also the Deputy Governor), the Second Deemster, and an additional full-time Deemster. The offices of First Deemster, Second Deemster and Clerk of the Rolls are ancient offices. The offices of First Deemster and Clerk of the Rolls were combined in 1918,  and a new office of Deputy Deemster was created in 2002  but abolished in 2009. Additional deemsters, full-time or part-time, may now be appointed; the present full-time additional deemster previously held the office of Deputy Deemster, and additional part-time deemsters (previously called 'Acting Deemsters') are appointed from time to time to hear a particular case. The Clerk of the Rolls is a judge and Head of the Judiciary in the Isle of Man. 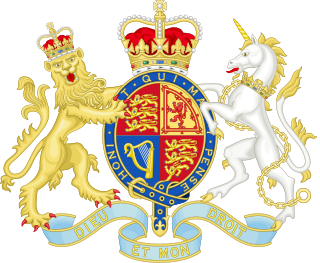 The First Deemster, Second Deemster and Judge of Appeal are appointed by, and hold office during the pleasure of, the Lord of Mann  (acting on the advice of the UK's Secretary of State for Justice). Additional Deemsters are appointed by the Lieutenant Governor on the recommendation of the First Deemster. As ex officio Deputy Governor, the First Deemster acts in place of the Lieutenant Governor in the latter's absence, or during a vacancy in that office. 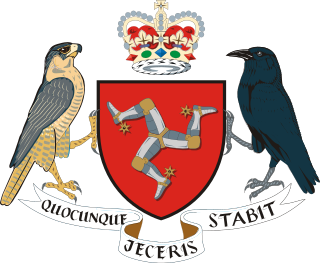 The title Lord or Lady of Mann is used on the Isle of Man to refer to the island's Lord Proprietor and head of state. The current holder of the title is Elizabeth II. Unlike judges in the United Kingdom, Deemsters have no security of tenure and thus have no legal protection against dismissal by the government. The appointment and removal of Manx judges on the formal advice of United Kingdom politicians is seen as an effective alternative. Security of tenure is a term used in political science to describe a constitutional or legal guarantee that a political office-holder cannot be removed from office except in exceptional and specified circumstances. Andrew T.K. Corlett is the current First Deemster and Clerk of the Rolls of the Isle of Man who served as Second Deemster from 2011 to 2018, having previously held the title of Deputy Deemster from 2007. His appointment as First Deemster & Clerk of the Rolls was announced on 10 July 2018. John Needham was the High Bailiff and Judicial Officer of the Isle of Man until his appointment as Second Deemster. He was appointed in 2010. Prior to his appointment he was the Clerk to the Isle of Man Magistrates. Alastair Aitken Montgomerie is the Criminal Deemster of the Isle of Man. He was appointed as a Deemster by the Lieutenant Governor. One of the main characters in Alfred Hitchcock 1929 drama film The Manxman is the Deemster, and his holding this position is of central importance to the film's plot. The film is based on the 1894 novel of the same name by the Manx writer Hall Caine, who published another novel with a similar theme with the title The Deemster (1887). The Speaker of the House of Keys is the principal officer of the House of Keys, the lower house of the Isle of Man legislature. The Speaker is elected from the membership of the House at its first sitting after an election. He is responsible for controlling the procedure of the House and for the authoritative interpretation of its standing orders. He sets the business of the House and authorises the order of business of the House for each sitting. The Speaker uses the letters SHK after his name. His Honour John Michael Kerruish QC was a Manx lawyer, who was the First Deemster and Clerk of the Rolls on the Isle of Man. The Attorney General of the Isle of Man is the Government's top legal adviser and has an ex officio (non-voting) seat in the Legislative Council. The High Bailiff is a legal position held within the Isle of Man. The High Bailiff is the head stipendiary magistrate. David Doyle was, until 31 July 2018, the First Deemster, Clerk of the Rolls and Deputy Governor of the Isle of Man. He was appointed in 2010 and was formerly a partner of Dickinson Cruickshank & Co from 1985 onwards. He was called to the Bar in 1982 and the Manx Bar in 1984. The Judge of Appeal is a part-time judge in the Isle of Man High Court who only sits in the Staff of Government Division, the appeal court. The Staff of Government Division of the High Court of Justice is the Court of Appeal in the Isle of Man. It hears all appeals, both criminal and civil, from the High Court. It is the second highest court in the Isle of Man with final appeal going to the Judicial Committee of the Privy Council acting as 'The Queen in Council'. Arthur Christian Luft was a Manx judge, a former First Deemster and Clerk of the Rolls and a Member of the Legislative Council of the Isle of Man. Thomas Kneen was His Majesty's Clerk of the Rolls for the Isle of Man, a Member of the House of Keys for Glenfaba, and Captain of the Parish of Onchan. John McHutchin, was a Manx lawyer who successively became High Bailiff of Douglas, Second Deemster and Clerk of the Rolls in the Isle of Man. Capital punishment in the Isle of Man was formally abolished in 1993. 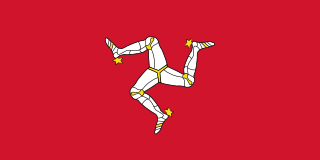 The Isle of Man is a British Crown Dependency, but not part of the United Kingdom. Thomas William Cain QC is a former First Deemster of the Isle of Man. He was born on 1 June 1935. Sir James Gell, CVO, QC was a Manx lawyer, who was the First Deemster and Clerk of the Rolls on the Isle of Man. He was also the first Manxman to become Attorney General of the Isle of Man. James Stowell Gell QC was a Manx advocate who became High Bailiff of both Castletown and Douglas, Isle of Man. Stewart Stevenson Moore QC was a Manx lawyer, who was the First Deemster and Clerk of the Rolls on the Isle of Man. Mark Hildesley Quayle, QC was a Manx lawyer, antiquarian and philanthropist who became the Clerk of the Rolls of the Isle of Man and a Member of the House of Keys. ↑ Judicature (Amendment) Act 1918; see now High Court Act 1991 s.3A(6).